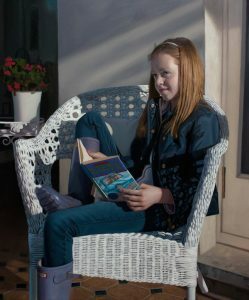 Portrait painters who use photography fall into two distinct groups: artists who have the ability to create a painted portrait when sittings can’t be arranged (see below), and artists whose creative process involves both photographic studies and sittings. For many artists, photography has become part of their practice. 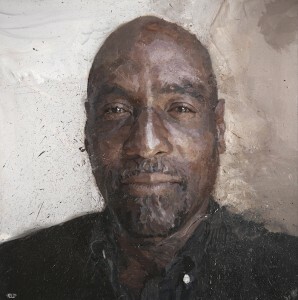 For example, Simon Davis takes his own photographs of the sitter and pins them around his easel, while Brendan Kelly will take as many as 400 photographs as part of his creative process. The use of photography can reduce the length and number of sittings. This can help when someone cannot undertake many sittings, or if the portrait is of children who cannot sit still. Another element that is benefited by the use of photographs is the ability to catch a fleeting moment or passing smile, a good reason to seek a portrait painter who uses their own photography. For many artists, photography has become part of their creative practice. Simon Davis, for example, takes his own photographs and pins a selection of them around his easel or Brendan Kelly, who will take as many as 400 photographic images as part of his creative process. 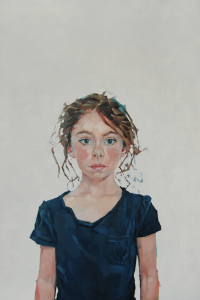 Because portraiture using photography is a special skill, and many portrait painters only work from life, it is best to seek the advice of a commissions consultant. The artist will need to know the size, medium and completion date for the work before quoting. If you use our consultants, they will approach a range of appropriate artists within your budget and assemble a portfolio for you to choose from. The Royal Society of Portrait Painters offers one-to-one consultations with their Consultants, without obligation.